A very big confusion in economics and global public policy: IMF (International Monetary Fund) does not know the clear difference between Nigeria Sovereign investment Authority (NSIA) and Nigeria’s Excess Crude Account (ECA), as per terminologies. That IMF got trapped in that after years of those hard hitting articles on Nigeria is a concern. But thank goodness the local media challenged it, and the Fund has clarified. 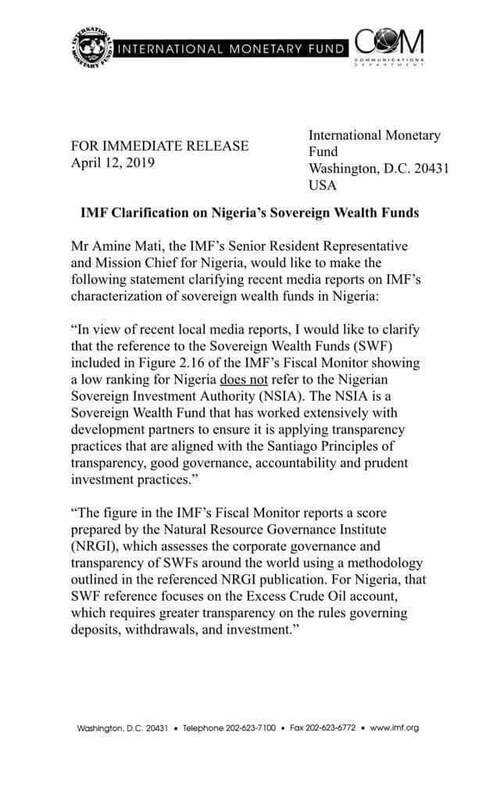 IMF had used “Sovereign Wealth Fund” (SWF) to refer to ECA which Nigeria has never designated as a SWF. NSIA has been Nigeria’s SWF. 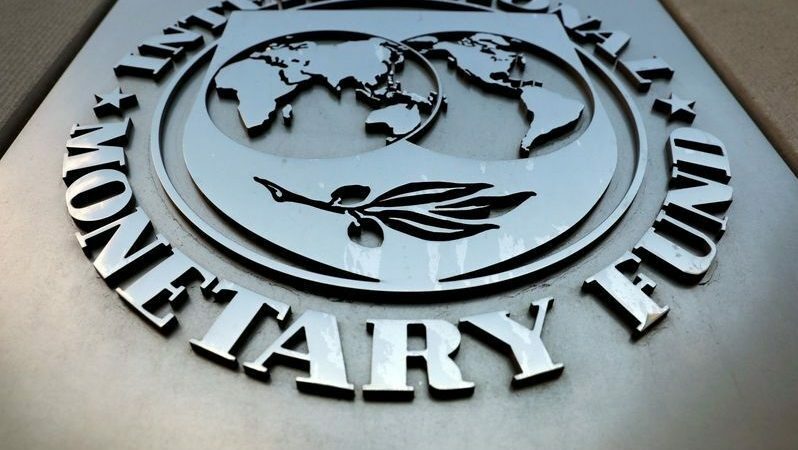 The latest report by the International Monetary Fund (IMF) ranking Nigeria as the world’s second worst user of sovereign wealth funds is “fundamentally flawed”, the Nigerian government says. The managing director of the Nigeria Sovereign investment Authority (NSIA), Uche Orji, said the report was “laughable”. The IMF in its Fiscal Monitor Report released on Tuesday as part of the ongoing IMF/World Bank Spring meetings in Washington said Qatar was the only country worse than Nigeria on the index. According to the Fund, the index was compiled based on the corporate governance and transparency scores of the sovereign wealth funds and the size of assets as a percentage of 2016 gross domestic product of the affected countries. The IMF blamed Nigeria’s poor ranking on pervasive corruption, saying out of the 33 oil-rich countries considered, Nigeria faired barely better than Sudan, with depleted Sovereign Wealth Fund. Columbia, Ghana and Chile were ranked top three best performers several resource-rich countries, on average. Very nice they have clarified. Yet, despite the confusion, the points IMF made on ECA stands. Nigeria has works to do there to make it more transparent.